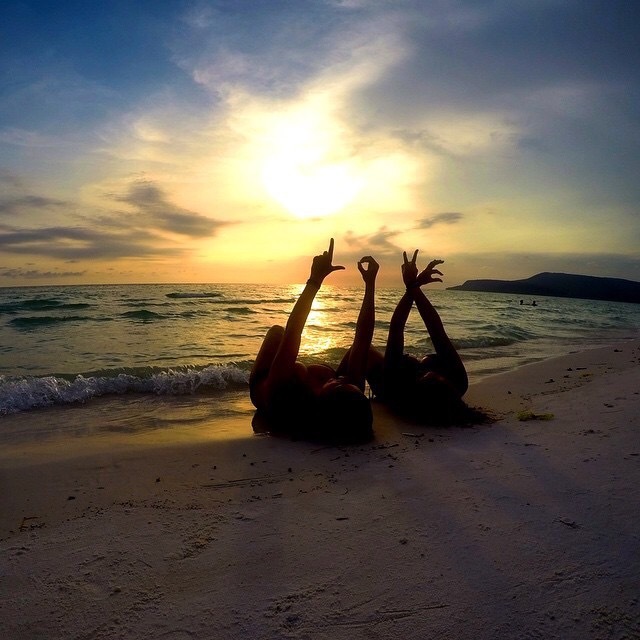 We are always looking for stories from friends, family and anyone who has the same passion for a beach as we do. Ashleigh is a close friend of our’s and although she is enjoying a different continent at the moment, we all know how small the internet makes the world nowadays. 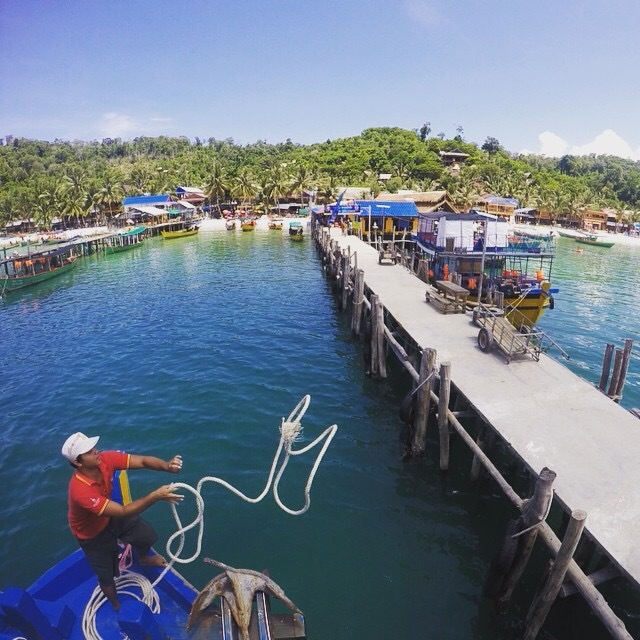 She is travelling South-East Asia where every place she visits has something unique and special about it. Imagine waking up in a place that feels so perfect it must be a dream. Pinch yourself, rub your eyes and when you establish that this place is real, you’ll realise that its the best place to slow down, relax and let your mind go free of any stress or worry. 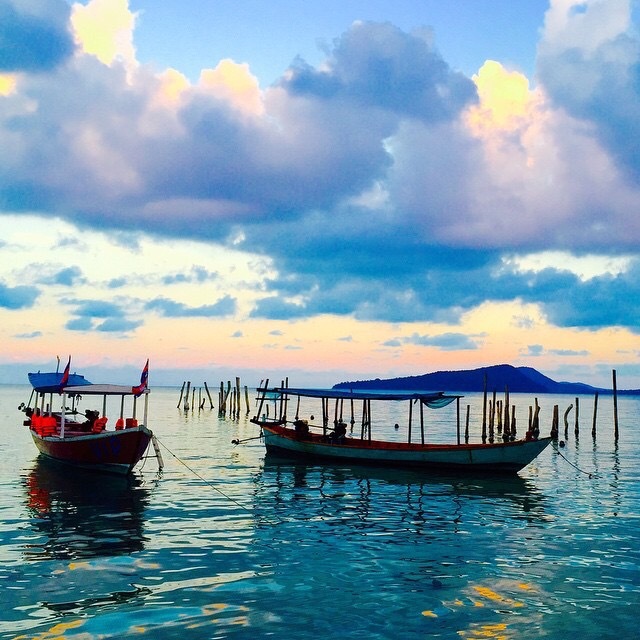 This is Koh Rong, a small island off Cambodia. When you first arrive on the island, you’re struck by its beauty and take a short stroll along the beach and you’ll come across an even better stretch of quiet, beautiful, white, fine sand and crystal-clear calm waters. Paradise! 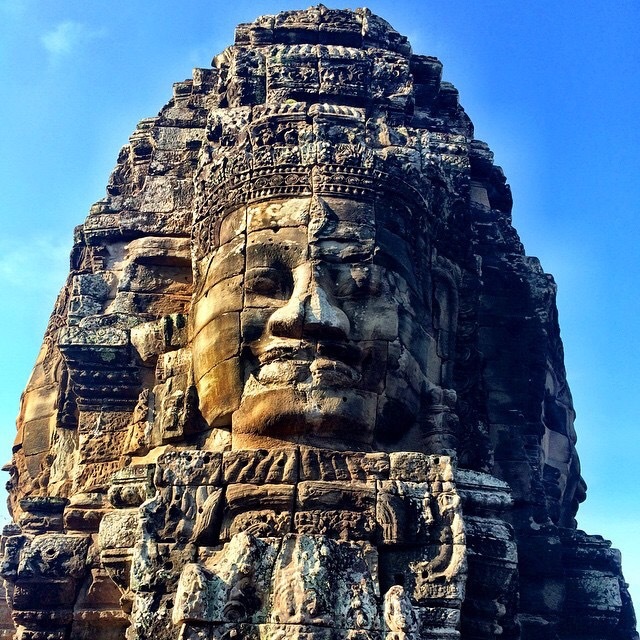 If you are looking for a holiday destination in the Far East you should definitely consider Cambodia . The country is steeped with so much history that it would be an experience to go and see first hand what the country has to offer. While Cambodia is an independent country with a culture of its own, it has also adopted the positive lifestyles and influences from its neighbouring border countries like Thailand, Laos and Vietnam. India’s influence on Cambodia maybe seen in the monumental temples of Hinduism and Buddhism found in the Angkor Wat. The French influence came when France ruled Cambodia for nine decades in the last century. The people of Cambodia are resilient after having survived decades of atrocities from foreign influences. Being a member of the United Nations has helped Cambodia to have a stable and thriving economy. This has made Cambodia a safe place to visit. When visiting Cambodia, many tourists favour Phnom Penh, the capital and the largest city in Cambodia. Other popular tourist areas to visit include the Angkor Wat historical park in Siem Reap province. The climate is typically tropical, with a mix of wet and dry and dominated by the monsoons. From November to April the weather is dry but if you are planning a visit from May to October- pack an umbrella! 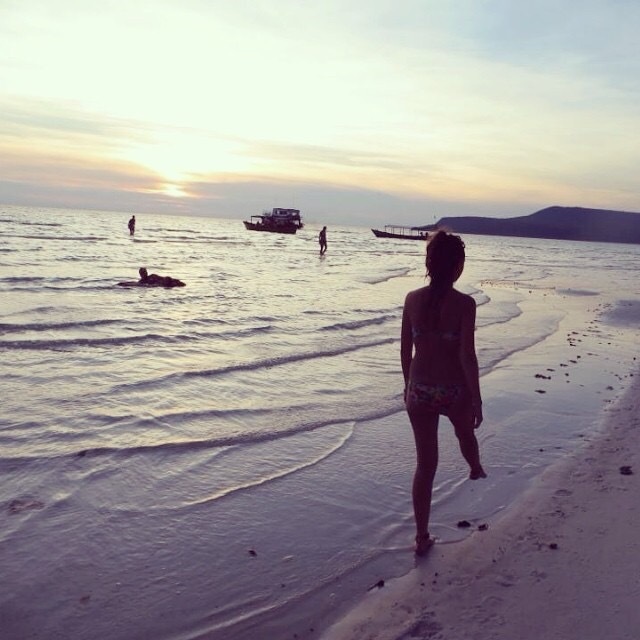 Another close friend of ours is Jade, who also travelled to Koh Rong. As well as describing the place as beautiful and steeped in tradition, if you’re after a bit of lively entertainment – head onto Coco’s which is a funky bar with a few rooms for accommodation. See below for bookings and availability – rates are reasonable and like the rest of Cambodia, a small budget will get you a long way. While you’re on the island be sure to go plankton swimming. Hop on a boat in the middle of the night and emerse yourself in the pitch black water. 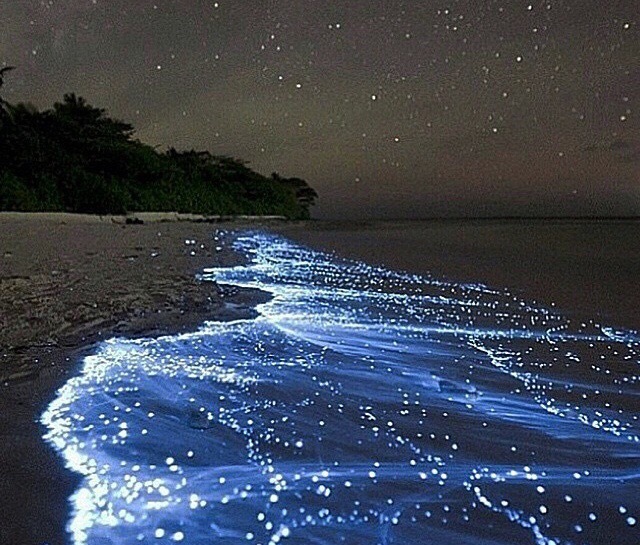 You’ll know where the plankton are so if you get a chance, have a dip and it’s like swimming in fairy lights. This is truly a once in a lifetime experience. 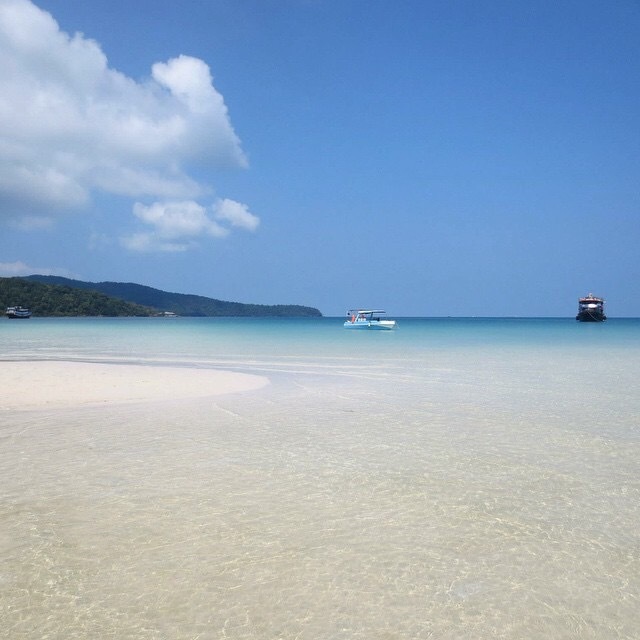 So any of you looking for a taste of somewhere new to visit try out Koh Rong, particularly if you’re a couple or young traveller looking to meet likeminded people on your adventure trail. Get there quick though, we hear there’s development on its way.